Natural Acoustics Suspended Rectangles - The Woolly Shepherd . Added to our suspended absorber catalogue to provide a an alternative for those less appreciative of our natural curves. These beautiful, highly effective absorbers provide a great, cost effective, solution for over reverberant spaces. 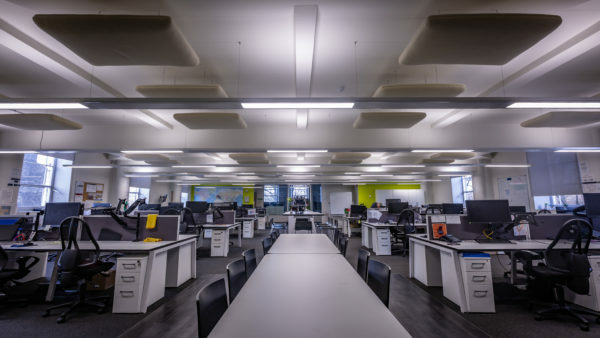 Our acoustic rectangles and other ceiling suspended options, absorb sound across their entire surface area, making them exceptionally good value for money. Each and every rectangle is made here in our Somerset workshop and individually inspected before being packaged. All products are priced according to quantity and frequency of purchase. If you would like a quotation, please call or email us. Applied, at our discretion, in line with quantities purchased. 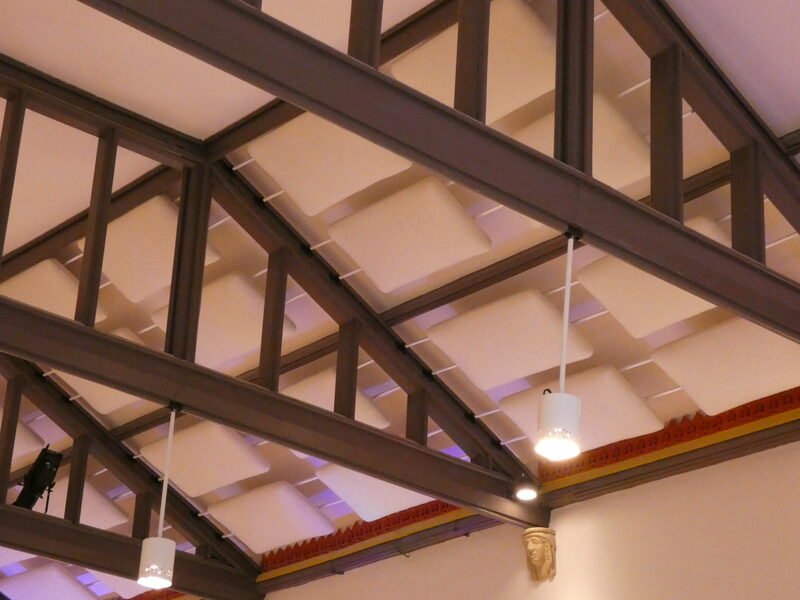 Rectangles are supplied complete with all fixings and are designed to be hung at 250mm from the ceiling. Taking the depth of the absorber into account and the fixings, the rectangle will lower the height of your ceiling by approx. 440mm. All wool components are treated against moth with a chemical called Eulan SPA (approved under the Oekotex 100 certification of textiles). 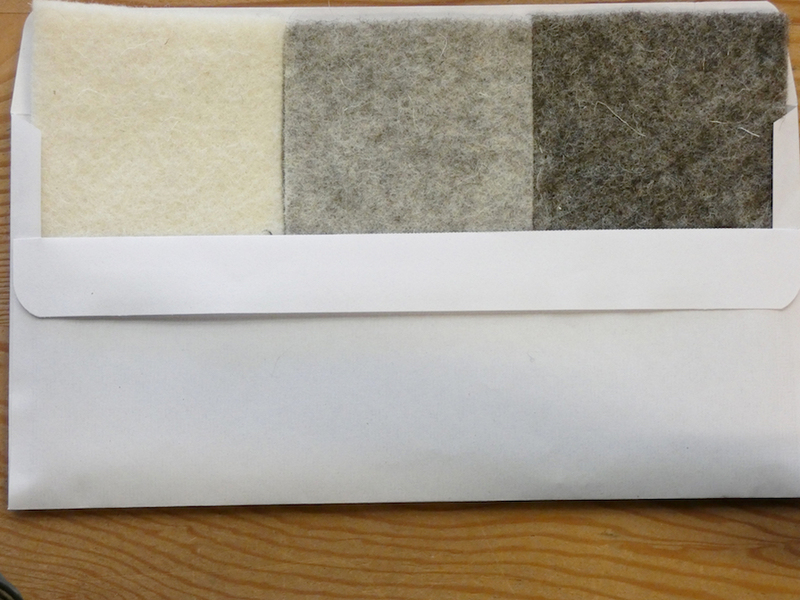 Our suppliers assure us that this process should protect the wool for the lifetime of the fibres. The circles are without doubt our most popular shape for those not wanting clouds. 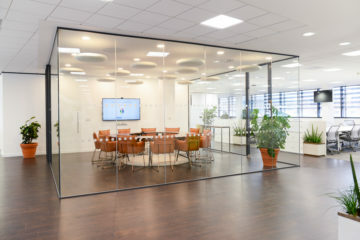 The suspended circles are made using the exact same recipe as the clouds and therefore boasts the same Class A performance as our flagship product. However, due to the constraints of the materials used we are unable to offer suspended circles in a larger size.